A brand-new park marking the longitudinal centre of Canada held its grand opening in Manitoba on Thursday. 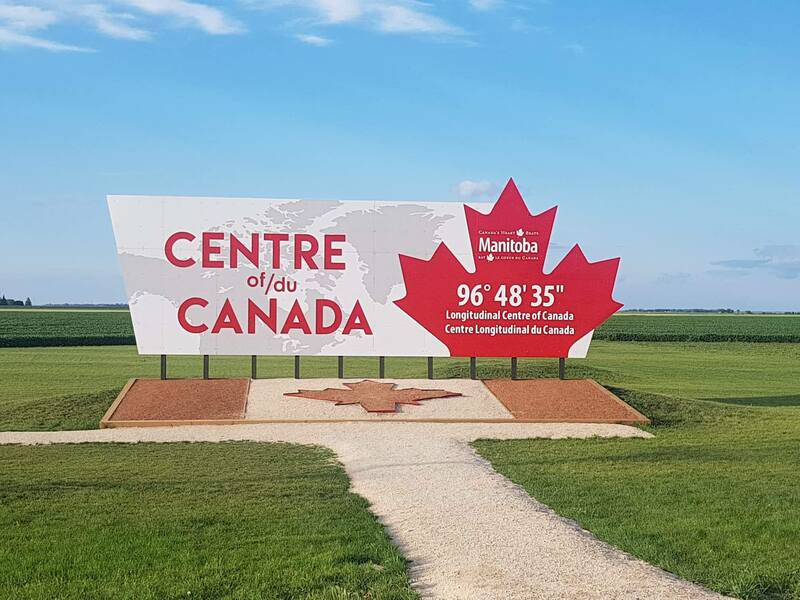 The Centre of Canada Park sits at 96 degrees, 48 minutes and 35 seconds west — also known as Highway 1 East near Provincial Trunk Road 206 East — in the rural municipality of Taché, Man. The spot has been dubbed the east-west centre of the country. 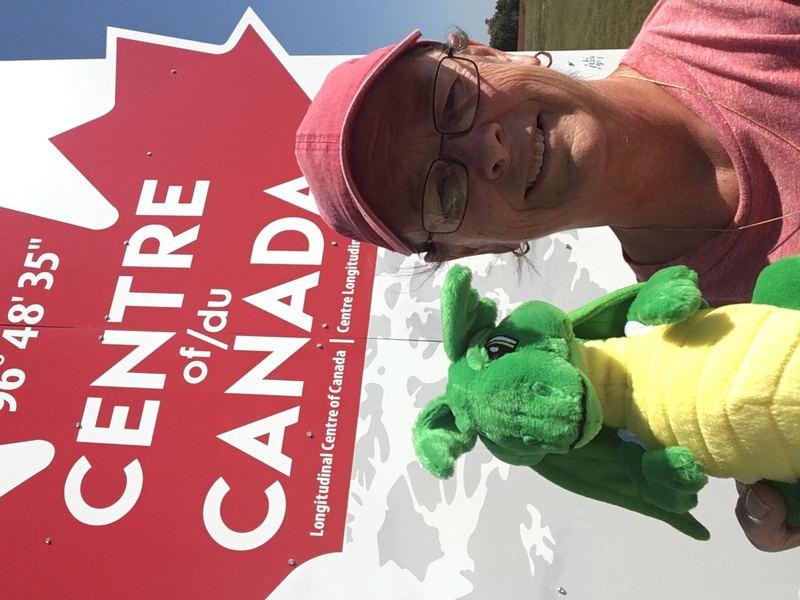 Unbeknownst to me when we stopped here on our return to Ontario from our West Coast Geocaching Adventure that this was a Virtual. Thank you Simrebel for letting me know. Just HAD to stop here when I saw the signs so we could take pics. We now have furthest East, furthest West and Center....yeahhh me.